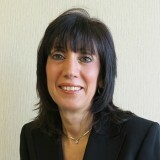 Pat Patane serves as the Director of Administrative Services for Alcott HR. She is “the glue” in the day-to-day operations of Alcott, making sure that all work flows efficiently and that the company’s high standards are being met. Pat supervises the administration departments in both the LI and Western NY offices and is responsible for process improvement, document management and the dissemination of client communications. She also oversees the I-9 documentation and work authorization processes. Education and communication are essential to achieving compliance, so Pat works closely with our clients and our internal staff to keep them up to date on the ever-changing HR rules and regulations. Pat has more than 18 years of human resources industry experience – all with Alcott HR – and she has been instrumental in the growth of our company. Pat is currently Co-President and Program Chair of the Levittown Community Council, a nonprofit organization committed to promoting pride and unity in the Levittown area.